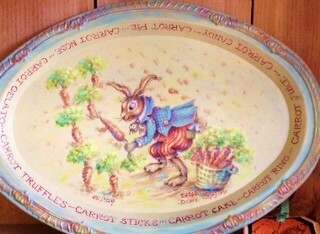 This whimsical rabbit gardener is designed and painted by Bobbie T. on an 8,1/2 x 12 inch oval metal tray. The price is $250.00 (CA. residence pay 9% tax) + shipping & handling.